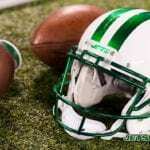 Florham Park, NJ – The New York Jets 2018 season is coming to an end as the team looks to close the book on the 49th season in franchise history. This was the year the Jets were predicted to finally finish above .500 and possibly clinch a playoff berth for the first time since 2010. The Jets are 4-11 and will finish the season with a losing record. This is the fourth losing season for Gang Green in the past five years. Despite the disappointing season, the Jets had some bright spots on their roster that made it more bearable to watch games. Here is a look at the 2018 New York Jets Most Valuable Players. The Jets have lacked consistency at the tight end position since the departure of Dustin Keller in 2012. In the last six years, many names have come and gone to fill the hole Keller left. Kellen Winslow II, Jeff Cumberland, Jace Amaro and Austin Sefarian-Jenkins, among many other names, did not suffice to the Jets liking. With their fourth round pick in the 2018 draft, the Jets selected tight end Chris Herndon out of the University of Miami, hoping he could be the answer to their prayers. In training camp, Herndon battled for the starting tight end position against five other players and ultimately won the job. He was one of the most reliable receivers and when Darnold or McCown need a completion to continue a drive, he was right there to complete the catch. He rarely dropped any passes and had only one fumble this season. What really made Herndon special was his relationship with fellow rookie Sam Darnold. The two were roommates during training camp and in practice, you could tell they had developed chemistry making Darnold’s go-to target. When the season started, Herndon wasn’t receiving much attention on the field because Quincy Enunwa became the main target for Darnold. But after an injury sidelined Enunwa for almost a month, Herndon was in the spot light again. From weeks six through eight, he had seven receptions for 114 yards and three touchdowns. He became the first rookie tight end in Jets franchise history to record a touchdown in three straight games. In week 12 against the Patriots, he had a career high seven receptions for 57 yards. What makes the fourth rounder unique is the ability to get the ball downfield with his large size, making it difficult for opposing teams to bring him down. So far in his rookie campaign, Herndon has 38 catches, 494 yards and four touchdowns. When you think of the best quarterback-tight end duos, who comes to mind? Some think Philip Rivers and Antonio Gates, Tom Brady and Rob Gronkowski, John Elway and Shannon Sharpe are just to name a few. One day the duo of Sam Darnold and Chris Herndon might be known throughout the NFL. After a solid 2017 season, Robby Anderson was deemed the best wide receiver on the Jets. The 2018 season started off a bit bumpy for ex-Temple wide receiver, fumbling the ball away twice and only scoring one touchdown in the first four weeks. In week five, he broke out with three catches, 123 yards and two touchdowns but came back down to earth in the following weeks. With Darnold under center, Anderson wasn’t getting as much attention as he had with McCown. However, when he did get the ball in his hands, he was able to rack up yardage and make the most of the opportunities he had. When Darnold was injured, McCown was back in the fold and Anderson received the attention he had last season by putting more pep in his step. When Darnold returned, the two became a dynamic duo. Anderson had a career high nine receptions against the Green Bay Packers this past week. Anderson has made 47 catches and has notched 728 yards and six touchdowns. The chemistry Anderson and Darnold have developed over the 2018 season gives Jet fans hope for a profitable upcoming season. This is a no brainer. Last season, Darron Lee, Leonard Williams and Jamal Adams were deemed the leaders of the defense. Each were the best at their respective positions and were vocal on and off the field. All three are young and have a bright future with the Jets defense. But after this season, Adams is not only the definitive leader of the defense but the overall team. He is the voice of the team in the locker room even if it meant voicing his frustrations with the team as the season progressed. Throughout the season, the Jets defense has suffered numerous amounts of injuries especially to the secondary. The one staple in the defense was Adams, who stood tall and remained healthy, even as he filled in for other teammates. He was the most versatile player on the defense, assisting with the pass rush and applying pressure on the quarterback. Other times, he dropped back into coverage helping double team receivers or playing in man-to-man coverage. His production and level of play has been consistent all year and he has turned into one of the best safeties in the NFL. At the end of 2017, Adams was left off the AFC Pro Bowl team and vowed to never miss a Pro Bowl for the rest of his career. So far he is keeping that promise when the lone safety was named to the AFC Pro Bowl team this year. Adams is the first draft pick of Mike Maccagnan’s to be named a Pro Bowler. He has improved on his stat totals from last season racking up 104 combined tackles, 12 pass defends, three and a half sacks, three forced fumbles and one interception, the first of his career. Sometimes the sophomore slump does not apply to everyone and this Pro Bowler will only get better. Avery Williamson signed a three-year, $22.5 million contract with the Jets in the off season. In 2017, Pro Football Focus gave Williamson a rating of 85.6 which ranked 10th among linebackers. He was brought in to provide Darron Lee help at the linebacker position, taking some pressure off him as well. After this season, the deal looks like a steal for the Jets. Williamson leads the team in tackles with 115 combined tackles, along with two forced fumbles, three sacks, six pass defends and one interception. Lee was suspended four games due to a PED violation and would miss the rest of the season. Williamson has stepped up to the plate in Lee’s absence proving his reliability no matter who he is on the field with. Williamson was also named a fourth alternate to the Pro Bowl AFC team this season. If some of the inside linebackers drop out due to injury, other commitments, or reaching the Super Bowl, we may get to see Williamson and Adams represent the Jets defense. During training camp, Cairo Santos and Taylor Bertolet were battling for the Jets kicking position. Santos would end up getting cut half way through camp due to injury. 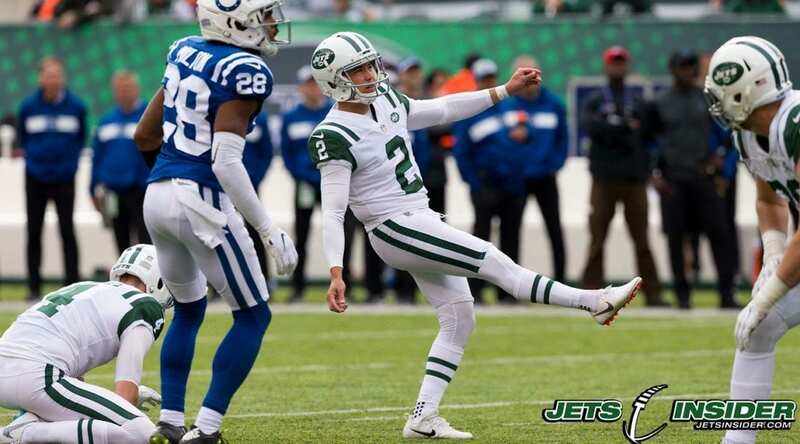 It looked like Bertolet was going to be the Jets new kicker because he was called on to kick every field goal during the first two weeks of the preseason. He was terrific. Then, Jason Myers was called in to compete. Myers had three years of experience playing for the Jacksonville Jaguars and would end up stealing the job from Bertolet. At the time it seemed unfair to Bertolet but in hindsight, the Jets definitely made the right move. Myers has been on the money this season converting 32 out of 35 field goals and 30 out of 33 extra point attempts. Through 16 games this season, regardless if the Jets won or loss, Myers has been the most reliable player on the team. He really came through in week six against the Indianapolis Colts when he converted seven out of seven field goals and three out of three extra points. Four of the field goals made were the result of the offense’s failed attempts to score in the red zone. The Jets won the game 42-34 with Myers scoring 24 points. Myers would set two records in that game. He set a new Jets franchise record for most field goals made by a Jets kicker in one game. He also set a record of making 274 yards worth of field goals in one game. His performance earned him the honor of AFC Special Teams Player of the Week. Myers also holds another NFL record which he achieved this season. He became the first kicker to convert on all five of his field goal attempts of 55+ yards this season, which is the most of any kicker in NFL history. Myers was never a big name around the league but due to his incredible season, he was able to beat out guys like Justin Tucker, Adam Vinatieri and Stephen Gostkowski to the AFC Pro Bowl team. The last Jets kicker to be named to a Pro Bowl was Jim Turner in 1969. Myers’ contract ends this season and he should be one of the few players the Jets better bring back next season. In 2017, the Jets used four different players on kickoffs and punt returns. This year, Andre Roberts was at the helm and has been electric. In his first year, the Jets wide receiver did not see much action on offense. As a receiver, he’s made seven receptions for 51 yards and scored one touchdown. Roberts earns his paycheck on special teams and at the age of 30, his experience and maturity has shown this season. He’s racked up 324 yards on punt returns and 1,115 yards on kick returns. Roberts got off to a great start with the Jets in week one when he returned a 78-yard punt for a touchdown against the Detroit Lions. That would be his first punt return for a touchdown in his career. He even returned a 99-yard kickoff return for a touchdown this past week against the Green Bay Packers, the first of his career as well. He has the most kickoff returns yards and the second most return punt yards. Like Myers, Roberts is also a free agent at the end of the season. If Mike Maccagnan knows what’s good for him, he’ll be bringing both these guys back. They’ve certainly put the special in special teams for the 2018 New York Jets.